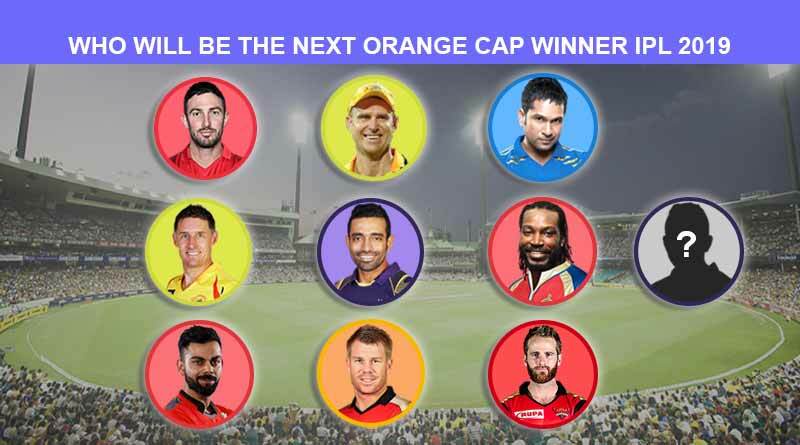 IPL 2018 promised to be a run fest with the top batting talents in the world set to battle it out for the IPL 2019 orange cap. The orange cap is presented to the leading run-getter in the tournament ever since the incorporation of the tournament. 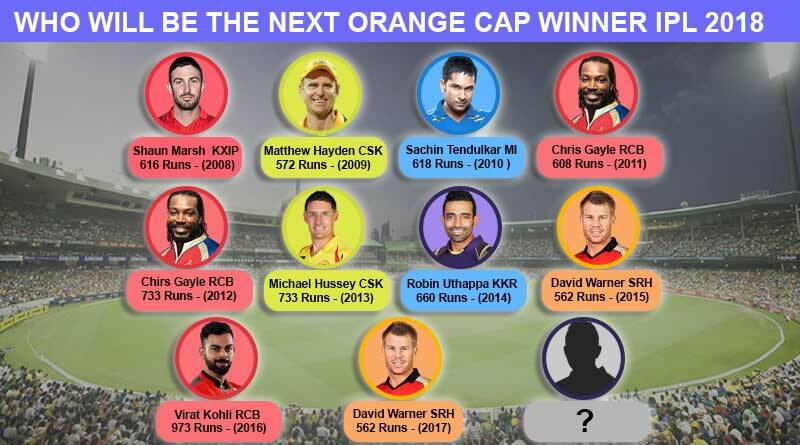 The orange cap is presented to the batsman who has the most runs after every match of the IPL with the highest run-getter at the end of all matches being presented with the IPL 2018 orange cap trophy and the same will happen in IPL 2019. Ex Sunrisers Hyderabad captain David Warner bagged the prize last year with a mammoth 641 runs from 14 years. He scored a superb knock of 126 which helped him achieve the milestone of 2017 orange cap winner. Overall he hit a mindboggling 63 fours and 26 sixes at an astonishing average of 58 to be head and shoulders above second-placed Gautam Gambhir who had 498 runs. He also the shares the distinction with Chris Gayle of picking up the award the most number of times with two titles. It was a good season for the Sunrisers Hyderabad who also had Bhuvneshwar Kumar pick up the purple cap last season. However, David Warner’s absence from 2018 edition of the IPL due to a ban by BCCI for one year after being found guilty of ball tampering with the Australian team in South Africa, threw the gate open for others to stake their claim on the IPL 2018 orange cap.